So begins the song that has been running through my mind since the day after the 2016 presidential election, from The Poseidon Adventure, a 1972 mother-of-all disaster movies (at the time). 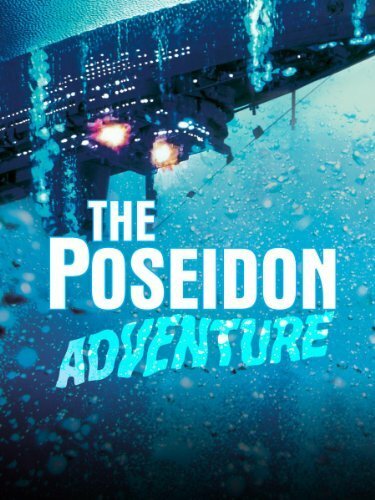 In a nutshell, here’s the plot: The Poseidon is the largest ocean liner ever, bigger than the Queen Elizabeth and the Queen Mary combined. A ship full of passengers are celebrating New Year’s Eve. Just after the New Year is rung in, the Captain spots a tidal wave. A huge tidal wave. Soon, everybody else sees it, too. For almost all of the passengers and crew, it will be the last thing they ever see. The ship is capsized, turned completely upside-down, and only ten people have survived. Now those survivors must make their way from the capsized top of the ship up to the bottom before they drown as well. But first let me digress to the actual day that so many are now trying to get grips on: Election Day. I was a poll worker at the local elementary school, fulfilling the role of “checker,” along with five other individuals. Our job was to check in those who came to vote, matching their ID (it could have been in any number of forms: social security card, driver’s license, passport, bill that had their name and address on it, etc.) against the list we had of registered voters for our polling place within the city of Norwalk, Connecticut. It was a long day; I arrived at 5:00 a.m. and left at 9:15 p.m. Three pairs of us (one registered Republican, one registered Democrat each) sat behind a table with notebooks and highlighters in hand waiting for voters to arrive and queue up alphabetically according to their street address. My observations of the day moved me. Some gave me hope in the future. Some made me shake my head. But all showed me how remarkable our democratic system is. I’m proud to live in a diverse community: Anglos, African Americans, Asians, Indians, Latinos, Muslims. People in suits, people in EMT garb, people in t-shirts depicting the name of the business where they worked. A multitude of occupations, and I would assume economic classes and educations. Many did not know how to vote! 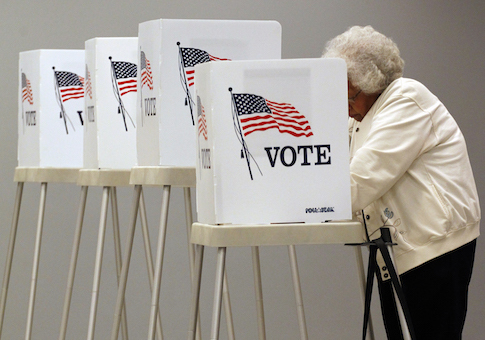 It became apparent that many adults were voting for the first time, or at least the first time in many, many years. I saw my neighbors, children (now adults) who I had known when they were in elementary school, friends not seen in years, my old teachers from high school, and so many more. In addition to the young man who had turned 18 two weeks ago, the most moving voter to me was a woman dressed in white, who sobbed as she entered the school gymnasium, came up to our table, and went through the several stations to place her ballot in the machine. She could not believe she was casting a vote for a woman for president. For the most part all were civil, chatty, and in good humor although many stated they were so glad the day had come and all the negativity would all be over. By the time the polls closed at 8:00 p.m. our notebooks were full of green highlighted lines, marking each individual that had voted. We were amazed, but not surprised – there had been a steady stream of people coming through all day. At my partner’s and my table alone, we had a list of 1,384 registered voters. We had greeting 1,024 over the previous fourteen hours. Only 360 people in our book had not voted. That’s a 74% turnout. The other tables had similar findings. We were not told the results of who had “won” in our precinct when we were told we could go home (having signed and validated the counts in our book and compared them to the voting machine total number of voters). I went home, watching a little of the returns, then went to be exhausted. I awoke Wednesday morning in shock. I live in a “blue” state, although we have been “red” in my lifetime, too. (I’ve lived here all of my life.) Connecticut has one of the poorest cities in the nation; we also have some of the wealthiest towns. While we are not agriculturally or industrially based much anymore, I have always thought we had a little bit of every state within our borders. I woke up to the reality that I am not what the rest of America seems to be, and many of my friends and colleagues were going to be frightened and scared of the new reality of what much of America voted for. And while I had thought voter turnout was high from my experience, I realized l that voter turnout was at a 20-year low for a presidential election at 55%. So where do we go from here? Those of us who are straight and white need to act. Continue to encourage young people to engage in the political process. I’m afraid that many children will lose faith in our system in that their vote made no difference (this is a study regarding children and mock elections in schools this season). We can be safe havens for those who are afraid and in need of help. We can stand with refugees, people of color, our LBGTQ+ friends, and women who need a witness and ally. Don’t be silent. See something, say something has taken on a new meaning that is not about terrorism or weapons. We can work with our children and youth to seek and serve justice for all and respect the dignity of everyone. We can live Gospel values. We can practice civility: honesty, listening, empathy. 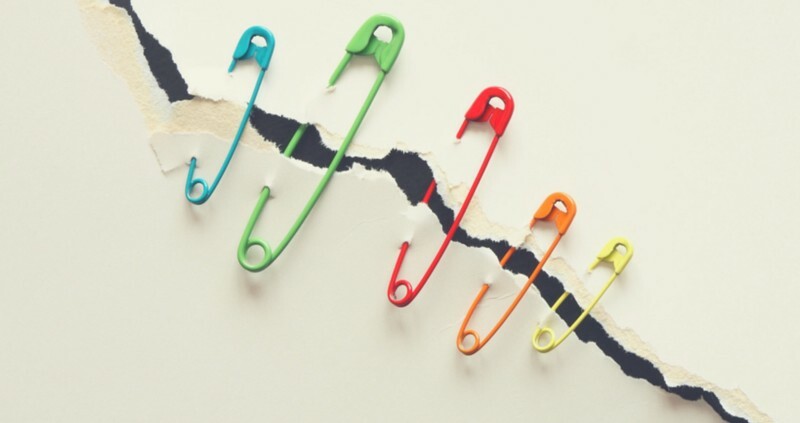 We can wear a safety pin and engage in conversation as to why we are wearing it. We can pray for all in leadership positions. We can teach about tolerance. Teaching Tolerance has lots of resources. Stay tuned to this space. There will be more to come. A beautiful reflection. Thank you for your wise insights.